Here is a wonderful home located in a rural setting on a 1 acre lot. 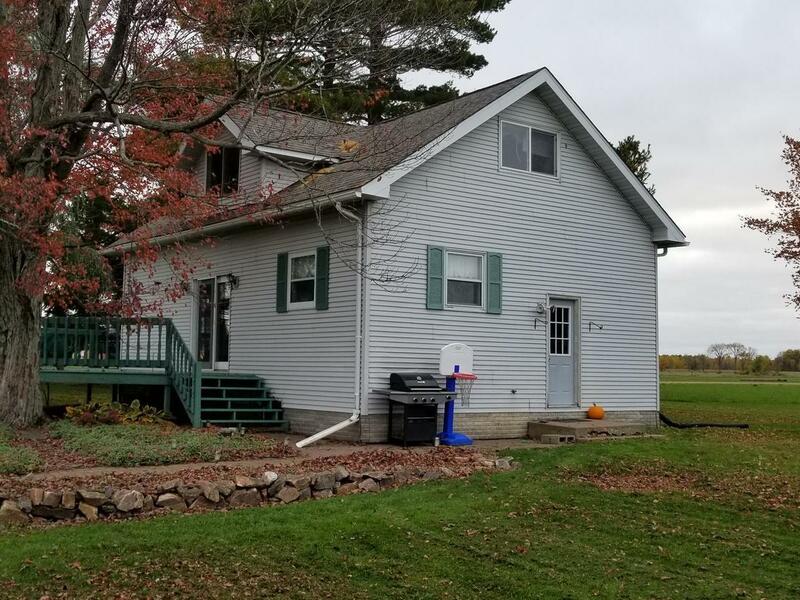 Come see this beautiful home with 3 patio doors off the living room that lead to a nice large deck to enjoy the country view. The large apple tree in the back yard attracts a lot of natural wildlife like deer, and turkeys. This home features a nice size living room and kitchen with a bathroom and laundry on the main floor. The upstairs contains 3 bedrooms and a bathroom. Updates to the home include a new roof in 2016, a basement water system in 2015 by Sure Dry, a new low pressure water tank in 2018, and a new furnace in 2012. This home also comes with a 2+ car detached garage with plenty of room for a nice workshop. Come see this property today.